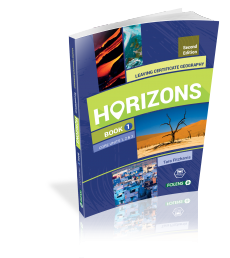 New edition of 'Horizons' by Folens Ltd = new versions of chapters being updated and uploaded....slowly....like plate tectonics! This website was designed for the Geography students of the Presentation School, Wexford but has grown to help all students studying for their Leaving Certificate. ​All notes and sample answers are here to help you revise for the final exam. Last updated: 13th September, 2017...little changes along the way! All resources are now available for students and teachers alike. We are constantly updating new information. ​If any teacher would like to share a powerpoint or a sample answer we would greatly appreciate it so students can get a different perspective on each topic. To all Leaving Cert students : Good luck!! Please note any text or images from the text books are for educational purposes only.